Patrick O. Peters is a Principal in the Cleveland, Ohio, office of Jackson Lewis P.C. He maintains an active, diverse, management-side employment law practice covering the full spectrum of the employment relationship. Mr. Peters counsels clients in in the power management, manufacturing, insurance, contingent staffing, financial services, transportation and logistics, building materials, construction, technology, and retail industries, among others. He advises clients on hiring, promotion, discipline, and termination decisions; negotiates executive employment agreements; drafts and reviews employee policy manuals for compliance with state and federal law; and manages multi-state employment law compliance projects. Mr. Peters defends employers before state and federal administrative agencies and in courts throughout the United States in claims involving breach of contract, discrimination, harassment, retaliation, wrongful discharge, and state and federal wage and hour and leave of absence laws. His litigation practice also includes representing employers in actions to enforce mandatory alternative dispute resolution agreements and related proceedings, prosecuting and defending trade secret and non-compete matters, and representing employer-sponsored benefit plans and their fiduciaries in ERISA litigation. In addition to his first chair trial work and counseling practice, Mr. Peters leverages his years of management-side employment law experience into a growing specialty practice focused on helping national employers who rank among the largest companies in the world. 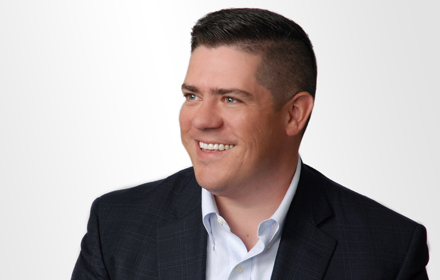 He works to build programs and processes to create a smooth flow of litigation and project management, and prides himself on finding creative compliance, traditional labor, and employment law solutions to meet important business needs.